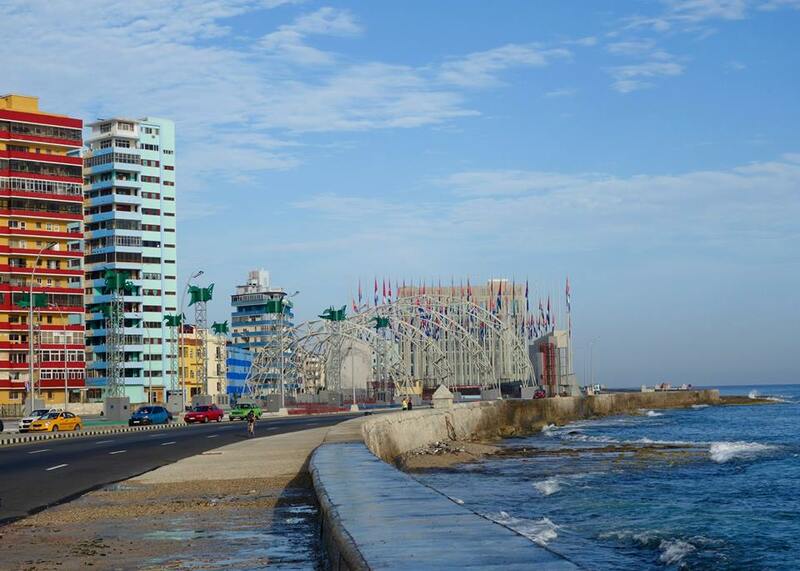 Sparkling seas and previously forbidden land await William Woods University students, faculty and alumni when they travel to Cuba Jan. 1-9, 2016. This Woods Around the World (WATW) group will be making history after the Obama administration’s recent loosening of U.S. travel restrictions for the island. 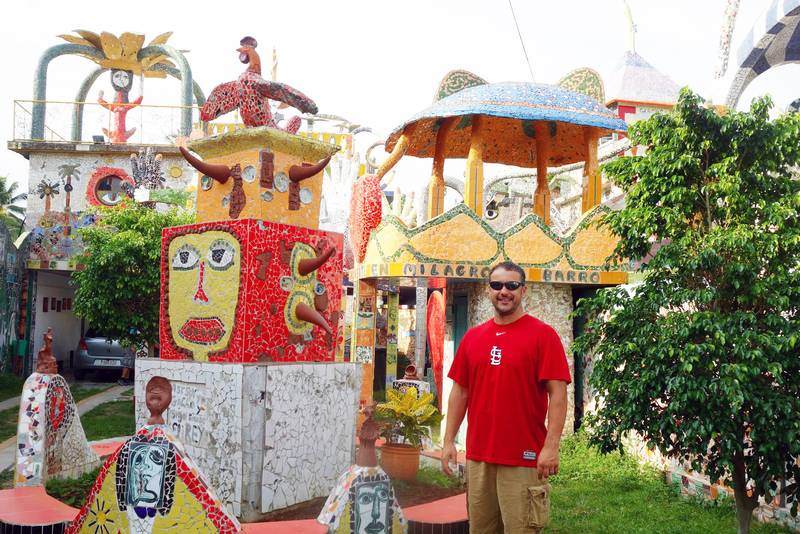 “Cuba is a wonderfully rich and colorful culture that is alive with art and music and architecture,” said Travis Tamerius, director of WWU’s Center of Ethics and Global Studies, said after his recent trip to Cuba. On Aug. 14, Secretary of State John Kerry raised the U.S. flag over the United States Embassy in Havana for the first time since 1961. Tamerius will lead the group to Cuba, which once was a popular vacation destination, but has been closed to American travel for 55 years. On Aug. 14, Secretary of State John Kerry raised the U.S. flag over the United States Embassy in Havana for the first time since 1961. 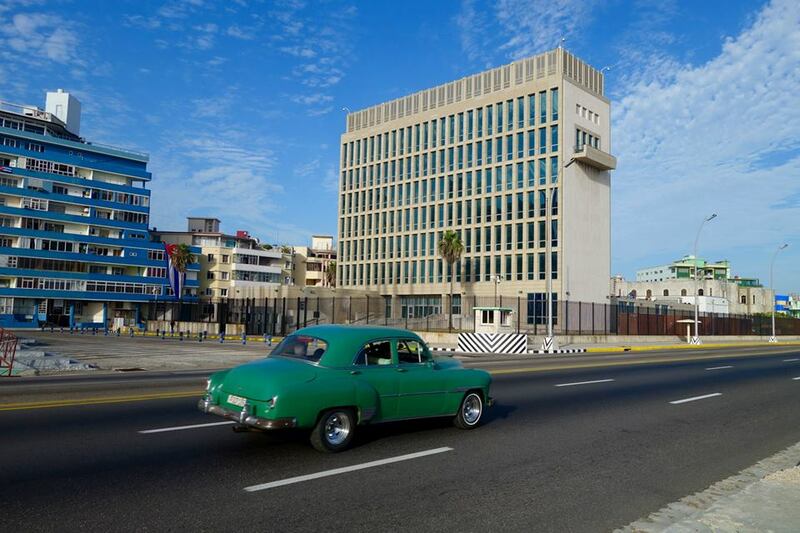 Relations between Cuba and the United States deteriorated rapidly after the Cuban Revolution in 1959. 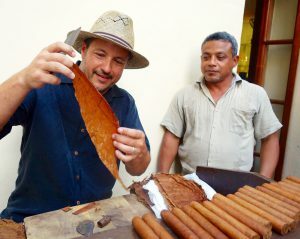 With the resulting expropriation and nationalization of businesses, the island became cut off from its traditional market by an embargo, and a travel ban was imposed on U.S. citizens visiting Cuba. By the mid-1960s the Communist government had banned and eliminated all private property, outlawed the possession of foreign currency, and eliminated the tourist industry all together. 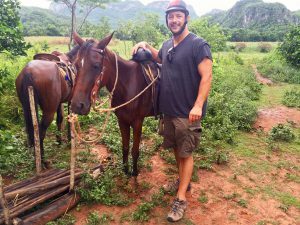 William Woods University’s winter getaway to Cuba, a place Americans have longed to see for decades, is packed with culture, music, art, dance, botany, conservation and the opportunity to engage with a horse whisperer. A 1956 Bel Air sits ready to transport the American visitors, including Travis Tamerius. 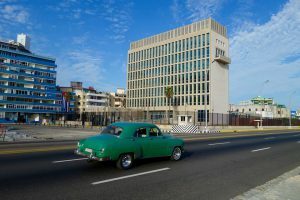 Recreational travel to Cuba still is banned, but U.S. travelers who seek educational activities fall under one of 12 approved categories and now can legally visit the country. WATW is scheduled to make the first educational trip to be offered through the travel company Education First (EF) College Study Tours. Travis Tamerius enjoys the neighborhood magic of Cuban artist José Rodríguez Fuster. 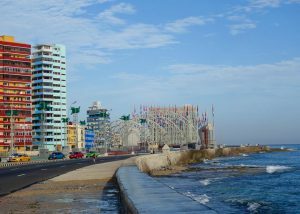 The group will fly to Miami on the first day and attend a lecture at the Casa Bacardi Interactive Cuban Cultural Center. The largest city in the Caribbean, Havana, awaits WATW travelers on Day Two. After flying to Havana they will meet with faculty and students at the University of Havana, where they will engage in discussions about access to education, available subjects, university resources, and preparation for post-education careers. Following the trip to the university, they will visit the workshop of a local artist who teaches drawing to neighborhood children. There they will discuss the impact of art on communities with the artist and his students. On Day Three, the group will visit a neighborhood-sponsored learning facility where they will meet with teachers and students to discuss outreach projects. At a community day care center, they will discover the types of projects that can help young Cubans overcome hardships and challenges. The travelers also will participate in a discussion about private enterprise in Cuba at a local restaurant and an organic farm. 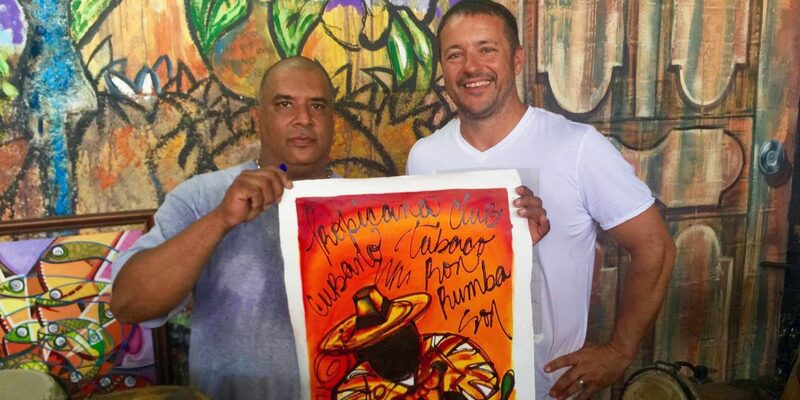 Music and art are plentiful in Cuba. The group will then meet with Afro-Cuban dancers and musicians to discuss how art, music and dance can inspire young people to care about the environment and their community. 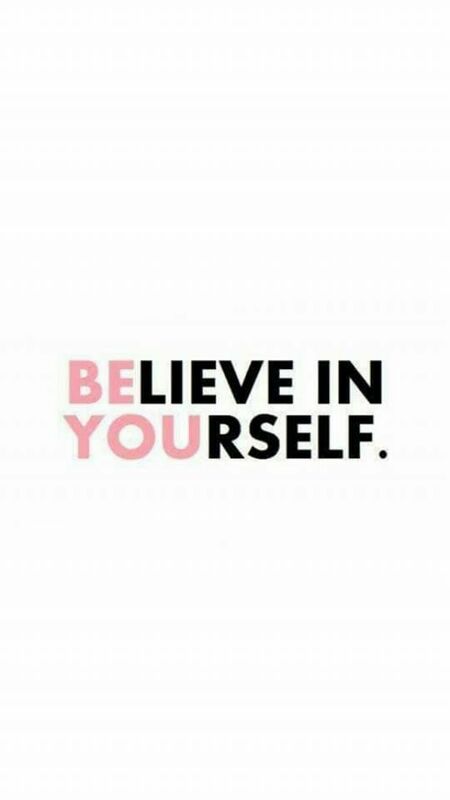 They will end the day by attending a children’s theater performance and meeting with the director, parents and children to discuss how theatrical performances can help children develop confidence and independence. Day Four includes travel south to the Zapata Peninsula and participation in a workshop at Zapata National Park about the importance of diverse ecosystems and the need for conservation efforts in swampy areas. Also, they will discuss with residents of a Taino village their efforts to share their culture and traditions with younger generations. In Cienfuegos, they will meet with staff and patrons at a local library to discuss the role of music and dance in social expression. They also will attend a performance at a theater that combines theater and nature to encourage sustainability. 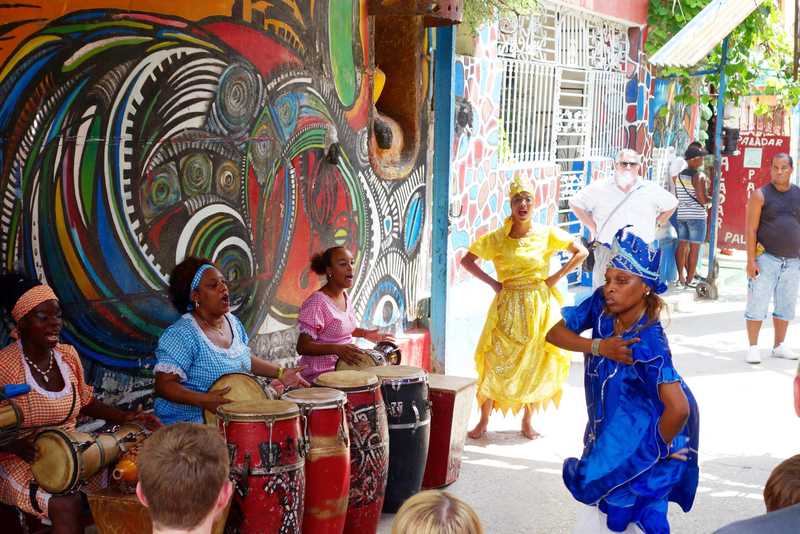 They will have the opportunity to meet the director, actors and musicians at the farm collective and engage with the Cuban artists about the need for and benefits of local communities becoming economically independent. 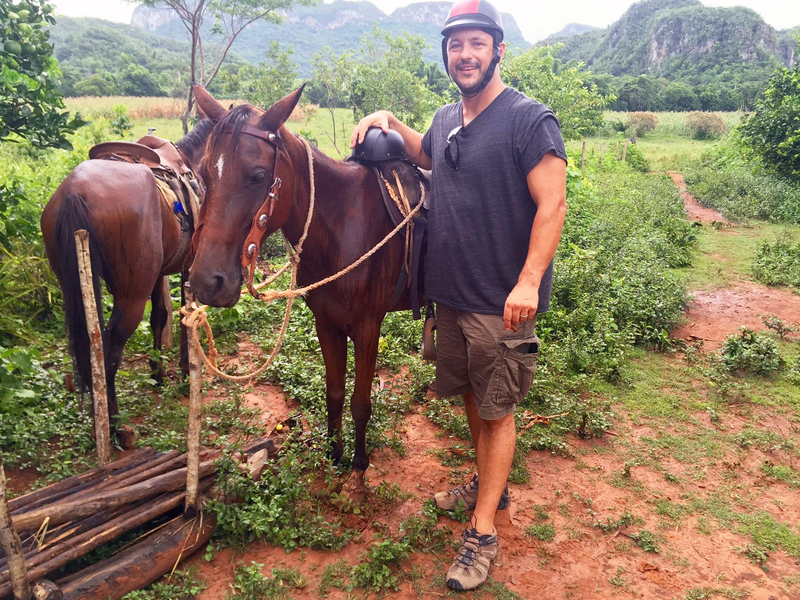 A trail ride in Vinales Valley is an intriguing way to see remote parts of Cuba, as Travis Tamerius can attest. Jardin Botanico de Cienfuegos. Next, they will exchange information with medical staff and community members at a community health project. 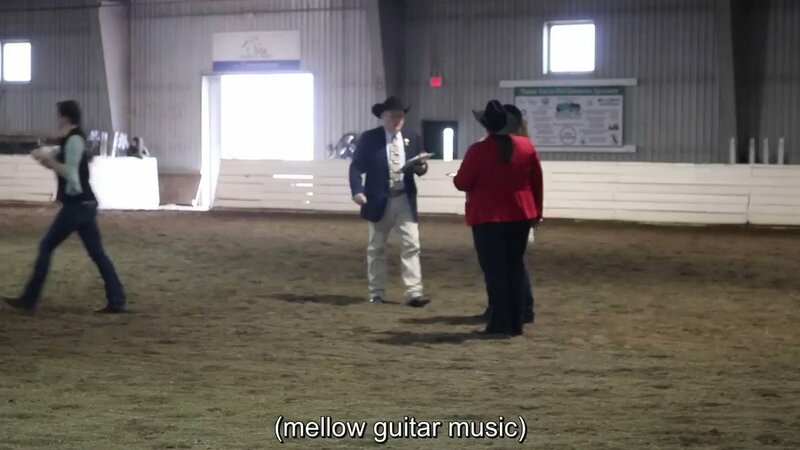 The group also will attend a performance of the Cienfuegos Orchestra and discuss cultural influences in classical music with the performers. A beautiful waterfall and 1.5k nature trail await the group on Day Six, when they meet with staff at El Nicho Reserve to compare ecological movements in Cuba and the U.S. and exchange information with Cuban preservationists on how to encourage the general population to support environmental preservation efforts. In Trinidad, the larger and more populated of the two major islands, the group will engage with a local photographer and horse whisperer. To make the trip even sweeter, WATW will visit a sugar production cooperative on Day Seven and discuss the impact of production decline with the director and local farmers, interact with a family of potters at a local ceramic studio, and discuss small business entrepreneurship with a local restaurant owner. The group also will meet with staff and patrons at a local library and compare library systems between Cuba and the U.S.
Cigar making is a skill most Americans, including Travis Tamerius (left), haven’t acquired. Then they will travel to Santa Clara, the capital city of Villa Clara, located in the most central region of the providence, to participate in a cultural exchange with students of music. While in Santa Clara, WATW participants will engage in activities at the Santa Clara Community Center. Then they will travel to Remedios to meet with Bici-Taxi private owners. 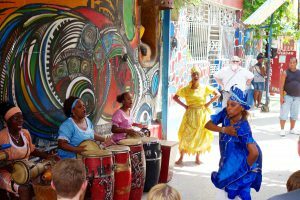 The group will meet with owner of an art studio and attend a performance of Afro-Cuban music and discuss rhythm and spirit with the musicians. After many days of culture and enrichment, on Day Nine the group will depart for home. Woods Around the World is just one of the many ways William Woods University provides unique opportunities for cultural experiences and learning. 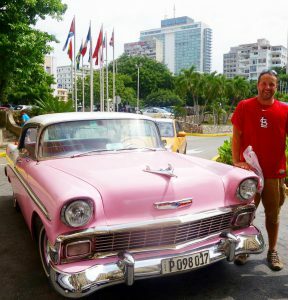 “I’ve traveled all over the world and there is nothing quite like Cuba in terms of the overall travel experience,” said Tamerius. 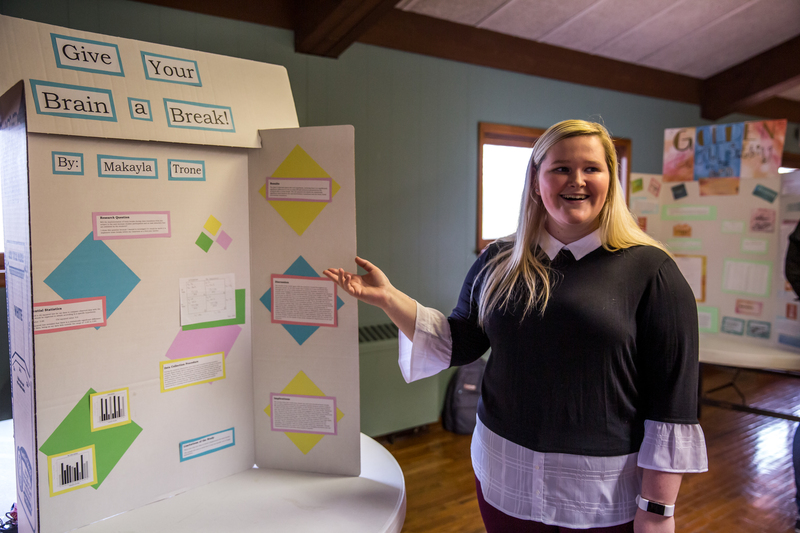 The next Woods Around the World trip will include Spain, France and Italy during spring break and a service trip to Pine Ridge Indian Reservation in May. For more information about any Woods Around the World trip, contact Tamerius at travis.tamerius@williamwoods.edu.